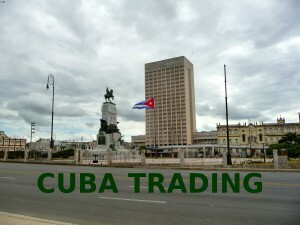 Foreign companies interested in pursuing contracts with the Cuban state-owned enterprises have to introduce their company to potential government’s representatives, to research the Cuban marketplace for available opportunities, and understand how it works. Most of the Cuban economy is under state ownership, which means the market is controlled and regulated by government policy, thus based on the fact that your partner will be the government, the competition is almost zero. As probably most of you know, selling to the government is different than selling to a private sector, and Cuba isn’t an exception. You should make sure you know your own company inside and out. Experience counts, and the government also looks for financial stability; which indicates you’ll be in business in the years to come. In short you have to prove who you are what you do. The government purchases goods and services, which must meet certain requirements, such as the best possible cost to meet the needs in terms of quality and quantity. Your products or services need to be aligned with the Cuban economic model in terms of improvements and social interest. To facilitate public procurement your company should be registered with the state-run agencies to be placed on potential supplier lists. If you are ready to bid on government contracts, it’s necessary to submit your business profile to the government agencies that are used to locate contractors. Government officials are also human beings, and therefore they like you also need to know the person behind the potential partner. Get your foot in the door, go to Cuba and meet them, participate in their business events, show your interest, it will help you know better marketplace opportunities and figure out if there is a real business opportunity for you. Wholesale and Retail business are run by agencies set up as corporations by the government. Forget about the idea of your home rules related to exporting/importing your goods and services by yourself, it doesn’t apply, getting a government contract is the way to go. This will be the first time a German foreign minister visits Havana since the fall of the Berlin Wall. Following Obama’s initiative to fully restore diplomatic relations between the two countries, Cuba and the US are scheduled to reopen embassies in each other’s countries later this month. “Cuba and the world move ever closer, where for a long time has been a wall of mistrust” said Mr. Steinmeier, Federal Minister of Foreign Affairs, before his departure. “With this first visit by a German Foreign Minister we intend to contribute to opening the door between Cuba and the world even further. Company intends for fathom, its new purpose-travel brand, to begin full-week sailings to Cuba, beginning in May 2016, in addition to fathom’s full-week sailings to the Dominican Republic. Travelers may reserve travel on future fathom voyages. WPP, the world’s leading communications services group, has taken the first steps to commence trading operations in Cuba and become the first major international communications services group to conduct business on the island. WPP is looking to deliver all its communications services according to the specifics of the Cuban market and seeks to contribute to the economic development of the island with its global network of agencies. 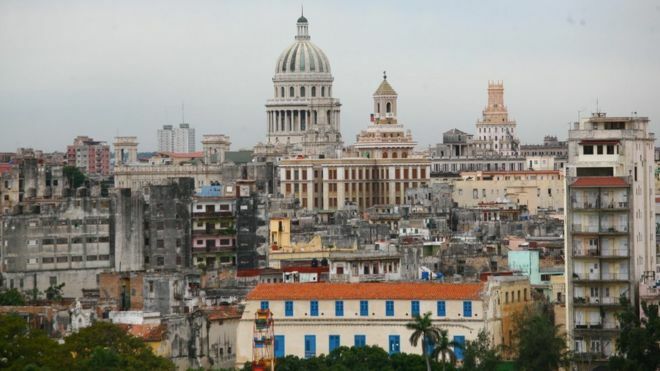 Under a contract with the state-owned Palco Group, WPP now has a permanent executive based in Havana who will be backed by an established local support team. This marks the start of the inclusion of the largest island in the Caribbean in the list of 112 countries in which WPP operates. The US and Cuba will on Wednesday announce the opening of embassies in each other’s capitals, a major step in re-establishing diplomatic ties severed in 1961, a senior US official has said. US officials said President Barack Obama would make a formal announcement from the White House at 15:00 GMT on Wednesday. It is still not clear exactly what the date will be for opening the embassies, but it is likely to be in mid-July, says the BBC’s Cuba correspondent Will Grant. The US State Department must give Congress two weeks’ warning before the embassy can open, he adds. It is the latest major milestone in a thawing process between the two countries’ relations, which started with secret negotiations and was announced last December.